NASA confirmed a new study that had been realized in 2013. 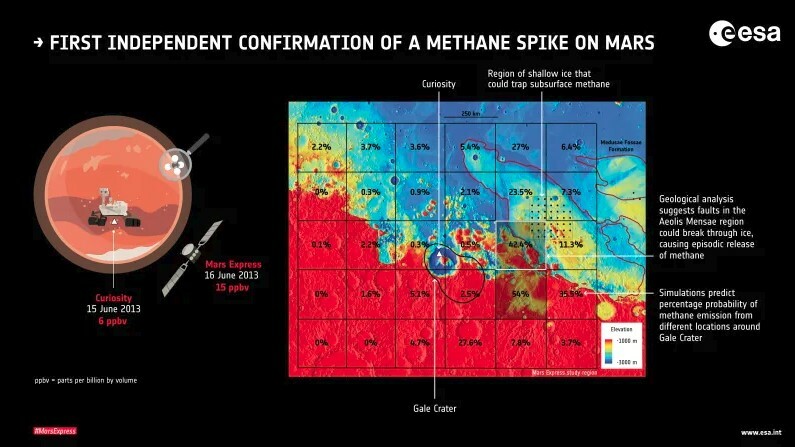 The study showed that there was Methane on Mars. The research had been realized by Curiosity Rover. At first researchers rejected the results, but after a re-analysis of data collected from orbit had been confirmed. 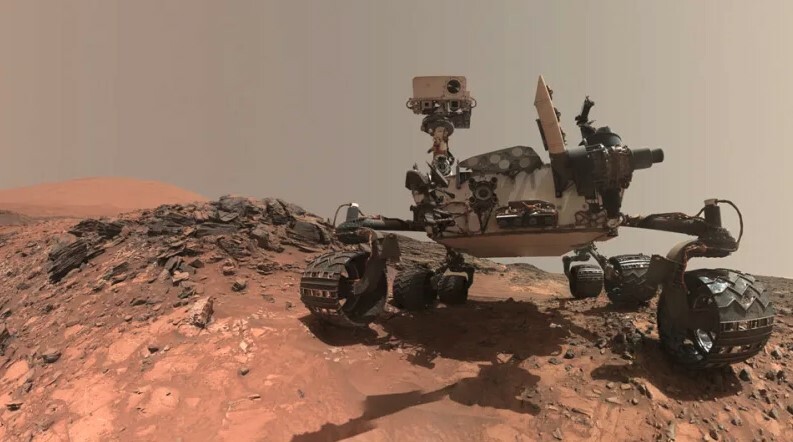 New results published on April 1 in Nature Geoscience in which mentioned that NASA’s Curiosity rover detected a methane spike on June 15, 2013, while exploring Gale Crater on Mars. 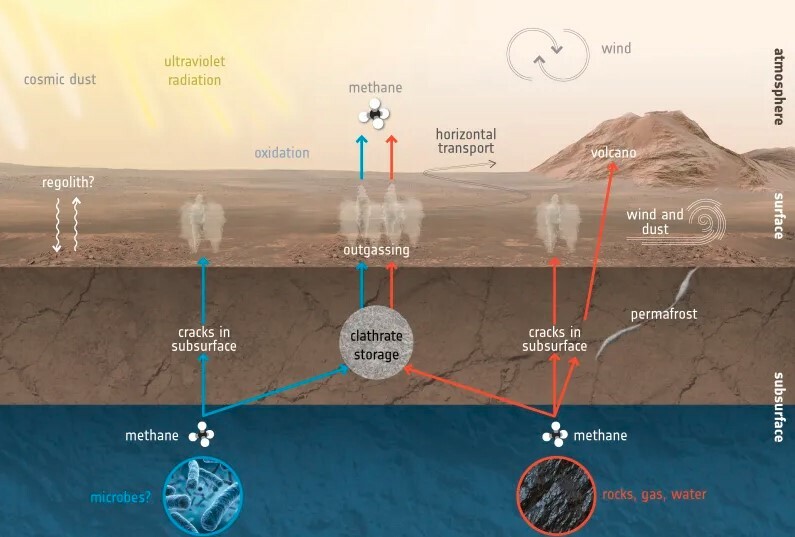 The phenomenon how methane came to exist on the Red Planet wasn’t explained by Marco Giuranna who is the lead of the team from the Institute for Space Astrophysics and Planetology in Rome, Italy. But according to gizmodo.com “Independent confirmation is a potential sign that Mars once featured conditions suitable for life during its ancient past. More radically, it suggests microbial life once existed on Mars, producing the smelly gas that’s now escaping from the planet’s bowels”. Methane is a potential of habitability, and possibly even a signature of life itself. [The trouble with methane, however, is that it doesn’t last long in the atmosphere. Any methane that is detected would therefore have been released relatively recently. For Mars, this means the gas is likely venting up from beneath the surface. What’s more, the sporadic, intermittent nature of these apparent methane spikes suggests the methane is being released at irregular intervals]. Previous Previous post: When Was the First Smartphone Released? Next Next post: Who Really Invented The Radio?